I have pretty simple style. You'll usually catch me in some sort of sweater or T-shirt and jeans combo, and I'm almost always in a pair of white sneakers. I rarely switch it up because well, this look kind of just works for me. But sometimes there are trends that come along that make me question my own style's simplicity. This season, it's neon. The fun, light-hearted, bright aspect of the neon trend is not lost on me–and I figured my wardrobe could use a little of it. But I'm not going to lie, it took a little while to figure out how to incorporate these bright pieces into my otherwise neutral wardrobe. I knew it was going to have to be subtle. 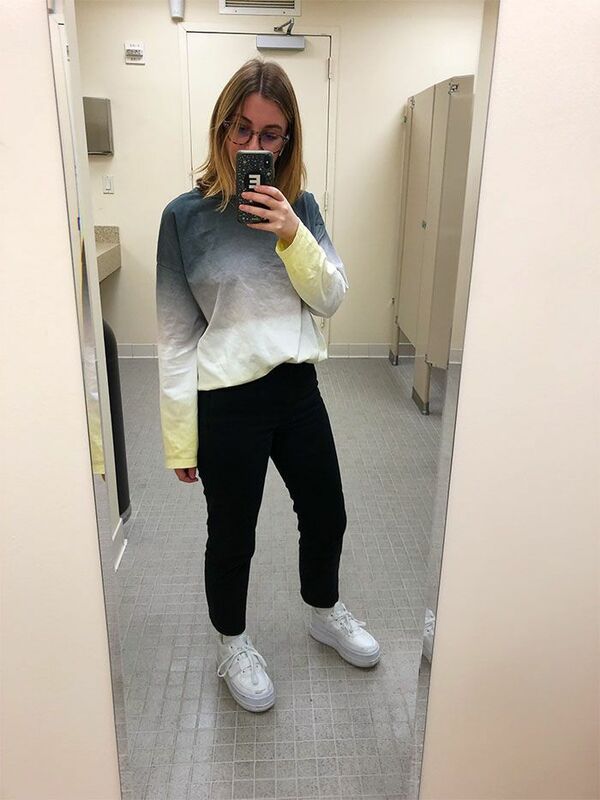 Though it seems like it would be fun to do head-to-toe neon like Hailey Bieber and other celebs, it's just really not my look. In fact, I was honestly kind of scared when I saw that neon was coming back and figured it was a trend I'd opt to skip altogether. But, because I work in fashion and I love to try new things, I hopped on the neon bandwagon, and now I can say I'm a believer. 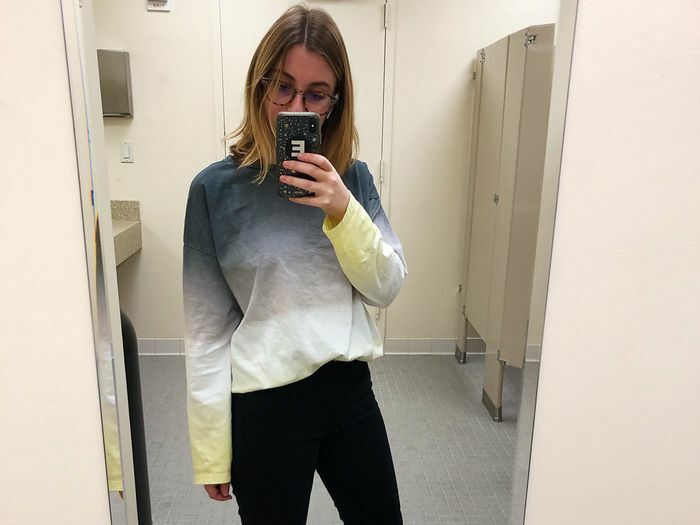 Here's how I'm making the trend work for my low-key style, and if you're anything like me, maybe these little tips will help you step out of your closet comfort zone as well. Below is my favorite subtle neon look for the office, plus some other inspo I'm taking on my next shopping trip with me. Keep scrolling for more. Try one bright neon item to pair with neutral colors rather than mixing neon pieces. Light shades of brown, white, and camel are the perfect pieces to pair with your neon for a more subtle look. A neon accessory is another option for a standout addition to a more understated wardrobe. Keep your minimalist basics and just add a bright bag for a pop of color that keeps you on trend but also true to your style. As mentioned above, I am a huge fan of sneakers. So this bright sneaker option is incredibly exciting for me. There's no limit to what sneakers can do for an outfit, and adding a neon pair is the sneakerhead's 2019 trend statement. That being said, this applies beyond sneakers too. Pair your muted outfit with a pair of bright neon shoes for a look that pops. Up next, the latest street style from New York Fashion Week.